Even among discographers, the exact logic in the highly famous song of Temitope Adekunle, Ondo State-born youth musician who is more popularly known as Small Doctor, cannot be deciphered. Small Doctor had caused a major eruption in national dancehalls when he released that hit song he labeled Penalty. Although delivered in Yoruba, the locale-blind nature of music all over the world ensured that this song travelled across virgin lands, penetrated tongues alien to the tongue of its delivery and burst musical charts, primarily because of its fast tempo as well as its rich garnishing with danceable vibes and rich repertoire of youthful slangs. In spite of modern music’s seasoning with inexplicable jargons, Small Doctor’s Penalty lyrics have not ceased to agitate academic excitements. Began with an outlandish celebration of money and condemnation of those who don’t have it, Small Doctor, in the song, lapsed into his own panegyrics as Omo Iya Teacher and proceeded to sing about some partying folks who had entered the dancehall with their water bottles, a phenomenon understood by today partying youth as a drug consumption culture where water-bottle-like containers are brought into dancehalls inside of which is an admixture of drugs and alcohol. But perhaps the most controversial stanza of the lyrics is the picture of the possibility of a football player on the pitch, in the bid to play a penalty kick, hitting the ball into a throw-in that Small Doctor painted. In the song’s video, a female football player, among a group of other footballers, with their coach standing by, rather than aim the goalkeeper’s net, had hit the ball sideways for a throw-in. What, in the whole wide world, would make a footballer kill crowd euphoria and expectations of an impending goal and diffidently kick the ball into a throw-in? This Small Doctor atypical football scenario, upon analysis, can only represent a curious chaos, unresolved and unresolvable internal contradictions, personal dilemma that manifests as group dilemma, an assemblage of men from whom order had departed, an impending disappointment, disdain for collective aspirations and ultimately, failure. The need to invoke Small Doctor’s almost impossible football analogy in an assessment of Nigeria’s national politics and governance becomes urgent when the current spate of crises bedeviling the polity is assessed. Yes, motion without movement had been the lot of Nigerian governments and governance for decades but the contradictions inherent in national politics and governance today have become so scary, so derisive of logic, so much that they are an apparent index of a failed statehood. There is no doubting the fact that the current government and its party, the All Progressives Congress (APC) colonized national consciousness because the Peoples Democratic Party (PDP)-led government had terribly desecrated governance and politics. It was no longer a thing of pride to thump one’s chest anywhere in the world to publicly announce one’s nationality. PDP ruled Nigeria like a colony of locusts which seized a cassava farm and wreaked incalculable havoc on national harvest. Latching on this hopelessness created by the PDP, APC arrested the hearts of the electorate by posturing to be a Messiah. And at the end of the day, in spite of Nigerians’ understanding of General Muhammadu Buhari’s personal foibles and disposition, he was voted in massively. With Buhari, Nigeria had great hopes. He was comparatively clean, reputedly personally disciplined and frugal, and had the potentials of deploying all these qualities in favour of a Nigeria repeatedly gang-raped by her own children from independence. Today however, APC and its government have frittered away such great expectations, apology to Charles Dickens. It mirrors, in its governance and even within its internal politics, that derisive atypical scenario painted by Small Doctor of a footballer, face to face with the goalpost in a penalty kick, in whom had been invested great hopes of scoring, but who conversely hit the ball into a throw-in. I will explain presently. Don’t let us detain ourselves talking about indices of current governmental failure which we all know and acknowledge: of a gasping national economy under the PDP which Buhari stiff-neckedly dragged into stasis of recession by his first six months of governmental prevarication; the shocking appointments of characters with very smelly apparels worse than the Goodluck Jonathan era into his cabinet and major governmental offices; his deafening silence over herdsmen’s killings and spillage of blood in Nigeria; his appointments of cronies and kinsmen into strategic security offices; the wave of corruption which reportedly dwarfs the Jonathan era and right now, running of a government which manifests an intolerant temperament towards dissent comparable only to that of Hastings Kamuzu Banda of Malawi, among several others. Banda ran a totalitarian government in the former British Nyasaland where he murdered and tortured political opponents. More than the above however, perhaps the most significant internal contradictions of this government which manifest the Small Doctor penalty kicked into throw-in is the drama within the APC as a political party itself. It is no longer news that in its maddening quest and desperation to send Jonathan back to Otuoke, the APC shoveled into its pouch an assemblage of very strange and even diametrically opposing characters to the progressive ideology it professes. The contradictions threw up Bukola Saraki, a consummate conservative in whose veins progressive blood flows seldom, as Nigeria’s No 3 man and his very weird parliamentary pairing with an Ike Ekweremadu who is a scion of the conservative party, the PDP. This forced and false pairing got Buhari an equivalent of the spousal upheavals which erupt in homes where a husband and wife are of opposed persuasions. South Western Nigeria is where these APC internal contradictions are today playing out perhaps most weirdly. It is where APC and its government are giving Small Doctora daily fraternal embrace. 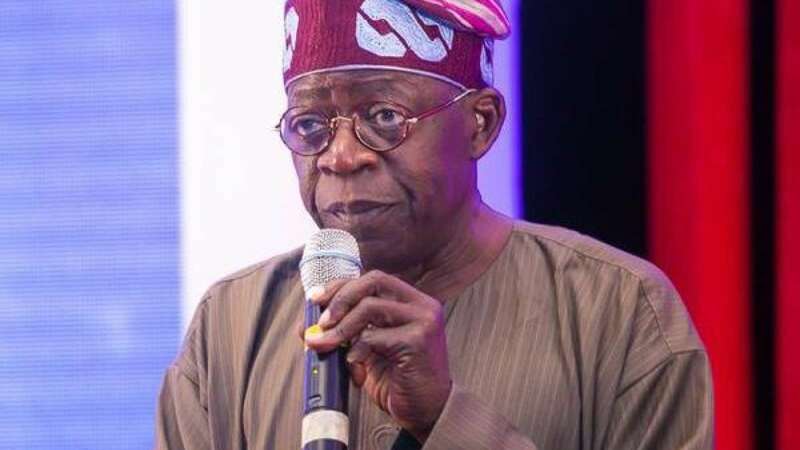 Those who wonder why Asiwaju Bola Tinubu has been literally absent in the various seismic political events that gripped the country recently do not know that the APC leader is fighting the battle of his life in the hands of a political party he helped midwife from infancy and children he fathered from his political groins. His famous political drive and importance as a foremost South West political gladiator are on the verge of being extinguished prematurely. As the equation today stands with Asiwaju in Yorubaland, his story may well be akin to the proverbial foetus in the bowel of a cobra divinely wired to be architect of its death. Generous to a fault but with the legendary wiles of a puff-adder and one who has his imprimatur of material kindness across divides, these same attributes are panning out to be his albatross and that of the APC. While the world sees a closely-knit APC in the South West under Tinubu, the truth is, beyond that superficial surface, an internal coup to politically castrate the former Lagos State governor is currently afoot and its outcome may be fatal to his political future. About 2012 when Tinubu sat to negotiate merger with Buhari’s CPC, he had five South West states firmly in his kitty. He had single-handedly installed Babatunde Fashola, Kayode Fayemi, Ibikunle Amosun, Raufu Aregbesola and Abiola Ajimobi. His powers were awesome and borderless. It came with inflow of huge cash and influence. Unfortunately however, like an aphrodisiac that it is, these powers propelled quest for further powers. Asiwaju’s untrammeled hold on the South West was directly threatened by Amosun’s proximity to the Villa. When he attempted to install a gubernatorial protégé in Ogun, he provoked an alliance of aggrieved forces against his dominance. In Ondo, an old grouse against his erstwhile attorney, Oluwarotimi Akeredolu bred Tinubu’s propelling of Oke as gubernatorial counterpoise to the bearded legal luminary who had to align with federal and ipso facto, other South West aggrieved allied forces, to miniaturize Asiwaju’s fabled awesome political hold. In Ekiti, sensing a perceived tenuous loyalty of Fayemi to him, Asiwaju reportedly flirted with the enfant terrible of Ekiti State, Ayo Fayose, to the chagrin of the War Study scholar. These and more grouses against Bourdillon necessitated the lionization of the allied forces. Like Tinubu, they have state cash and power at their beck and call and their hold is of Octopus but effectual dimension in South West politics. As things stand now, of the six states in the South West, Tinubu only has two – Lagos and Osun, with Oyo held to his feeble hand by a near-snapping twine. The rest are occupied by Allied Forces who are fast making incursions into even the two he has. As Osun goes to the poll in September, it does so amid a fierce internal battle within APC. Right now, the Allied Forces are bent on giving Tinubu a dosage of the poison he gave them. Rather than his cousin succeeding his lickspittle, Aregbesola, the Allied Forces are replicating his earlier wiles against their own in Ondo and Ekiti elections, massively egging on and financing Moshood Adeoti, Aregbesola’s former Secretary to the State Government who is now in the Action Democratic Party (ADP). The next phase, if this permutation works and the battle is won, is to replicate same scenario in Oyo State. By then, Tinubu’s huge mound of political ice would have been totally defrosted and a gate opened to making him a political dinosaur, a relic if you like. This is the only scenario that makes sense of Small Doctor’s seemingly senseless Penalty lyrics. Oyo State crept into national news again last week. Famous singer and broadcaster, Yinka Ayefele’s Music House was marked for demolition by the state government. Back and forth arguments have been proffered for this. The radio broadcast house was accused of infringing on planning laws and failure to collect approval for his building. Ayefele’s water-tight defence also promptly hit the air waves. But the after-effects of the rumble are the most consequential. Public sympathy for the non-demolition of the house has been phenomenal, provoking questions on whether government ever conducted a forensic audit of this proposal when it was mooted. One of the audits necessary was to be abreast of the fact that in a Third World like Nigeria, issues of law and order are secondary considerations in the estimation of the people. Also, primordial sentiments are always deployed in the service of the people’s passion. Demolishing the house may be within the ambits of law but it suffers terribly on the side of public feeling. A few weeks ago, a 9-storey building was demolished in Lagos and it provoked no single backlash. This is because Lagos is a much more sophisticated state, unlike Oyo State. Other issues that make the Ayefele demolition dead on arrival are the fame and physical disability of the man which instantly attract empathy of the people. Why would a government be seen as seeking to castrate a man who nurses nature’s blow and in spite of it, had risen to the zenith of his chosen career? More fundamentally, the media is a global sacred cow which easily courts the sympathy of the world, especially in spats with governments. In such equation, the latter is often perceived to be attempting to muzzle free speech and as such, can never win any battle with the press. Any governmental decision that fails to take cognizance of these basic issues would get the kind of public opinion backlashes which the Oyo government’s move to demolish Ayefele’s Music House currently receives. Former military dictator, General Ibrahim Babangida, celebrated his 77th birthday during the week. Babangida is one Nigerian ruler who was an issue in Nigerian politics and would make any analysis of Nigeria incomplete without his reference. He ran a military government which is held as a major flag-off point for corruption and allied malfeasances that have since plagued Nigeria but which got to its crescendo shortly before and even after the advent of the 21st century. A flashback into the government Babangida ran will confirm how his government aided the corruption of values in Nigeria and how the country entered an exponential phase of collapse of all that she held aloft previously. It was during this period that the family crashed irretrievably and Mammon began to reign in the affairs of the home. Babangida made emergency billionaire military officers and their civilian allies. However, Babangida is also the architect of the building of governmental institutional structures in Nigeria, many of which have endured till the moment. Mass Mobilization for Self Reliance, Social Justice and Economic Recovery (MAMSER), Federal Road Safety Commission (FRSC), Directorate of Food Road and Rural Infrastructure (DFRRI) and the like were built by him. Babangida’s, like all military governments, was largely dictatorial, notwithstanding his attempt to toy with diarchy as a system of government. He ran a patrimonial government that was however very deep in planning and intellectual output. IBB surrounded himself with brilliant academics and his was a government that demystified academics in government and showed that they were not any better than politicians and their crass values and indecipherable political culture. When you compare the government that IBB ran with the ones we see recently, you cannot but raise your thumb up in his salute. He was intellectual in his reasoning, firm in his decisions, decisive even on issues that would reduce his mileages in the hearts of the people and decidedly ruthless. No wonder, at the full blossoming of the crisis of June 12, Babangida boastfully told Nigerians that he was not only in government but in power. Here is saying 77 happy cheers to the General of Generals.